How about some mid-season prospect rankings! Thoughts: As is generally the case when a top prospect makes it to the majors, that position runs a bit thin in the minor leagues. With Lucroy taking over starting duties for Milwaukee and Angel Salome making a position change, catcher went from a strength to a very big weakness. Not one of these prospects jump off the page, though Garfield and Roberts are both young and have plenty of time to improve. Maldonado is defense first and has bounced around at just about every level of the minors this year. Zarraga has hit for decent average, but hasn't managed the sustained success needed to climb the rankings. Who is Brent Dean? Filler, but someone has to be No. 5. Thoughts: Not a strong bunch here, but improving rapidly. Sean Halton is establishing himself as a legitimate prospects but Double-A has been killing first base prospects for the Crew in recent years (See: Steffan Wilson, Chris Errecart). Next year will be telling for him. Morris and Hawn are both relatively high round picks in this years (4th and 6th respectively) draft but have shown good potential in limited sample sizes already in 2010. Morris is hitting .270 with Wisconsin (Low A) while Hawn has seven homers for rookie Helena. Joe Koshansky may have a shot at first base next year when/if Prince Fielder gets traded. He strikes out a ton, but has good power and deserves a look. Thoughts: A definite position of strength for Milwaukee's farm system, headlined by the organization's top prospect. 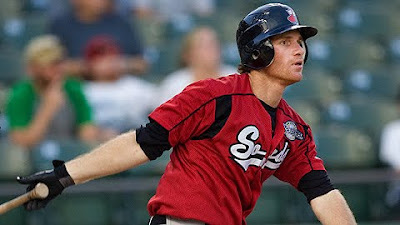 Brett Lawrie is having a great year, leading the Southern League (AA) in total bases. Ryan "Scooter" Gennett is the real breakout star in this bunch. After not playing in his rookie season he has raked this year, he is first in the midwest league in total bases, third in batting average, third in runs, first in doubles and first in hits. Not bad. As for Farris, he is a singles hitter with great speed and a terrific base-stealer. He could be a stop-gap solution for the big league club while the team waits on either of the previously mentioned prospects. Thoughts: Another position of strength for the Crew, especially with Casey McGehee seemingly entrenched at third base with the big club. Gamel has hit the ball well with Nashville, batting .300 with a .383 OBP. Green is an up and down prospect, but it's doubtful he'll hit for enough power to stay at third base. He makes more sense as a backup infielder unless he finds a consistent power stroke. He does lead Huntsville with 25 doubles however. Cutter Dykstra is back on the map with a solid year for the Wisconsin Timber Rattlers. He's batting .299 with a .413 OBP. Good numbers, he'll be one to watch over the next couple of seasons. Thoughts: Not a good group here, not by a long shot. Wheeler is not a shortstop, he is a third baseman playing out of position so both he and the previously mentioned Taylor Green can play every day. He's a solid hitter with a very good eye at the plate as is evidenced by his .378 OBP. His defense has been terrible since the position change. Josh Prince could be worth watching, but he has been inconsistent in his second professional season. For the year he's hitting .239 with a low .290 OBP - he can steal bases though, 36 in 43 tries. The rest of the group? Not even worth mentioning. Thoughts: Cain is the headliner and for good reason. He hit .324 in Huntsville and since his promotion he's batted .328 for Nashville. 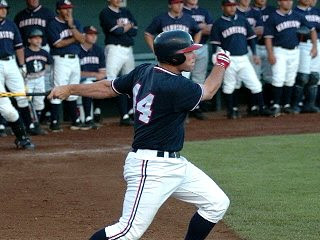 Brewer nation got a look at him in a brief stint with the big club when he managed three hits in five at-bats. It's been a lost season for last year's minor league hitter of the year Logan Schafer. Due to various injuries he's only managed 23 at-bats this season and probably won't see anymore. This happened to Cain last year, so hopefully Schafer can bounce back in 2011. The similarities between Katin, Kjeldgaard and Krieger are impressive. All three have big power and strike out a ton with limited contact. If any of them can cut down on strikeouts and make consistent contact they could be a big time prospect. Angel Salome might have been an above average hitter as a catcher, but so far he is a below average outfielder. His value is gone, which is evidenced by the successful removal from the 40-man roster, so expect the Brewers to give him a real shot at the outfield. Thoughts: Not a bad bunch at all. Rivas has followed up a stellar 2009 with a very solid 2010. He has an ERA of 2.63 and a WHIP of 1.12, which is superb for a starting pitcher. Heckathorn and Odorizzi have both had solid years with Low-A. Heckathorn has earned a promotion to Brevard County, the team's High-A affiliate. Odorizzi is still with Wisconsin where he leads the team with 111 strikeouts in 90.2 innings pitched. Thoughts: Jeffress is the headliner, it wouldn't be a surprise to see him pitching in Nashville by the end of the season. How does that bullpen look, featuring Zach Braddock, John Axford and Jeremy Jeffress. Those are some very live arms that Brew Crew fans may not be used to seeing. Another player that catches the eye is Jonathan Pokorny with Wisconsin. Pokorny has a 1.10 WHIP and has struck out 66 batters in only 45 innings, he has only walked 15 on the year as well.